Only Islam truly values the sanctity (hurmah) of life. It defines it, preserves it and practically protects it! Sufficient proof of their disregard for life in pursuit of materialism can also be found in secular-liberal societies from individuals and families on rampant knife-crime, mass shooting, organised assassinations to the highest authority of the state in perpetual wars and supporting massacres of tyrants. Not to mention modern day infanticide and patent laws on desperately needed medication, its restriction and absence led to the death of millions! They may argue they have laws that punish the killer but the concern is not protection of life but the protection of individual freedom. Laws – viewed as a necessary evil – exist in secular-liberal societies to guarantee the individual’s liberty and to prevent infringement of another’s freedom! The enlightenment believed in the creator and therefore understood, as a self-evident truth the sacredness of life, its utmost value and a responsibility and a trust from the creator that one would be accountable for – all due to religious concepts inherited from Christianity. However over time atheism and agnosticism became the dominant and religiosity weakened (at an alarming rate, almost diminished in certain areas) and subsequently the meaning and value of life became a commodity, and pursuit of individual freedom became a sacred duty! And we are witness to its misery and senseless killing today! However the difference to Christianity and other religions is that Islam actually guarantees its protection via the State. The Rule of law is an integral part of Islam. The religions rely solely on the hope of individual’s personal will to act good but cannot protect life from murderers who do not wish to follow the ’Rules of do’s & don’ts’. Islam not only relies on the Taqwa of individuals but actually demonstrated the saving of a life by enforcing its strict laws in al-hudud, jinayat and ta’dheer that seek to preserve life by either a deterrent, just punishment or rehabilitation. Other religions simply have no system to regulate life’s affairs in politics. It may be argued that there are Muslims, not liberalists, who do not value the sanctity of life like the isis militia and boko haram. That they kill innocent civilians in the name of Islam! There are Muslims who sin this does not make it islamic, and killing in the name of Islam makes them no different to Ku Klux Klan killing in the name of Christianity! Furthermore these militia movements who initially began on a noble cause in defending their lands and the oppressed became excessive (ghulu) in imitating the enemies in targeting innocent civilians, and this has nothing to do with Islam or its theology. Islam places strict rules in the preservation of life, and in taking of a life in just causes like murder, adultery, highway robbery, retribution etc via the judiciary of the state and not left to whims of a people that feel oppressed. Muslims must be on the offensive intellectually in exposing the capitalists in its audacity to police the world on its ‘high horses’ and ‘moral high ground’ when it is they the real cause of the decay and misery of the world! They are the causes of the violent militias that target innocent civilians. Muslims also must learn and present the true alternative that saves and protects the sanctity of all life. This world is the arena for the conflict between Haqq and baatil – Truth and falsehood. Allah’s Wisdom has dictated that this tussle between the opposing and mutually repellent forces of Truth and falsehood shall endure until the Last Day of the tenure of this world. Therefore, the continuous bobbing up of Satanists – murtaddeen, munaafiqeen and zanaadiqah – who are the agents of Iblees, has to be expected. A myriad of the agents of Iblees abounds all over the world in a variety of forms and in all institutions of life. All of them are in a satanic alliance to extinguish Islam. But this pernicious objective is unattainable. Allah Ta’ala Himself has undertaken the responsibility of safeguarding His Deen. One such Zindeeq/Murtad, Mr. Abraham Sool, has very recently bobbed up calling for the abolition of Islam despite professing to be a Muslim. His satanic call is quite expected since he had flagrantly jettisoned his Imaan out of his heart by his wholehearted acceptance and participation in Hindu wedding rituals of shirk and kufr. Lacking in entirety in Ilm-e-Deen, this miscreant man shamelessly propagates the kufr ideology of “the need for Islam itself to be reformed”. This is tantamount to the denial of the Truth of Islam. It is a shaitaani call for the abolition of Islam – a goal which will never be attained even if he is reborn a million times, and even if all the kuffaar, munaafiqeen and zanaadaqah of the world aids him in this satanic mission. Issuing a challenge to the myriads of Satanists who denied the Qur’aanic Deen, Allah Ta’ala said: “Call your helpers besides Allah if indeed you are truthful. And, if you are unable (to achieve your satanic goal), and never will you be able, then fear that Fire whose fuel is men and stones. It has been prepared for the kaafireen.” [Al-Baqarah, Aayat 24]. Leave alone total reformation, Islam does not brook the slightest change in any of its beliefs, tenets, practices, teachings, etc. That is precisely why Nubuwwat was finalized and ended with the Holy personage of Muhammad Rasulullah (Sallallahu alayhi wasallam). If there had been any need for reformation, then Allah Ta’ala would not have sealed Nubuwwat. The long Chain of Ambiya which initiated with Hadhrat Aadam (Alayhis salaam) would have perpetuated after Rasulullah (Sallallahu alayhi wasallam). But the ending of this illustrious Chain of Nubuwwat is absolute confirmation for the total inadmissibility of even the slightest change, leave alone the type of satanic reformation which the murtad has hallucinated. Allah’s La’nat settles on those who call for the displacement of ‘reformation’. Islam This under reformation guise is of pure shaitaaniyat. Shaitaan employs his agents to undermine the Deen from within. He calls for another brand of ‘islam’, but he desires to be known as a Muslim despite his compounded irtidaad – the irtidaad of the Hindu wedding coupled to the irtidaad of calling for the abolition of Islam. His call of kufr is a disingenuous, stupid and futile attempt to fabricate another ideology, totally alien to Islam, but to be advertised and known as ‘islam’. The Qur’aan paints them as unbelievers, oppressors and flagrantly immoral. All of these satanic attributes are conspicuously displayed by the ruling cliques of all democracies. The hallucinating of the murtad that Islam has to contribute and support kufr democracy vividly exhibits his total jahaalat and kufr. “O People of Imaan! Do not take the Yahood and Nasaara as friends. They are friends to one other. Whoever from among you (O Muslims!) who befriends them, verily he is of them. Verily, Allah does not guide people who are oppressors.” [Al-Maaidah, Aayat 51]. The murtad and his ilk seek the law of jaahiliyyah (ignorance). Every system besides Islamic autocracy (the Khilaafat) is a law of jaahiliyyah which the Qur’aan Majeed describes as ‘Hukmul Jaahiliyyah.’ Islam is the very antithesis of democracy and of every other manmade system of jaahiliyyah, hence it is haraam to vote in this kufr system which the murtad espouses despite having been booted out by the ANC. Thus, the murtad’s idea of Islam contributing to democracy is pure baboonery. He simply does not know what he has blurted out. Fabricating falsehood in the name of Islam is to speak a brazen LIE on Allah Azza Wa Jal, hence the murtad is among the worst of the zaalimeen. When the vast majority of Ulama becomes ‘dumb devils’ by means of their silence when the Haqq is trampled on and attacked on all sides, and also by flattering the morons of the dunya, and by truckling up into their hinds either due to fear or in expectation of the fulfilment of their base worldly and nafsaani desires and despicable objectives, the deviates, murtads and munaafiqs and other similar devilish elements perceive the coast to be clear. They believe that the field is smooth and fertile for sowing their wicked kufr, hence they stupidly attempt to set themselves up as ‘experts’ of Islam, and begin to excrete their effluvium of zandaqah and kufr. They demonstrate and advertise their kufr in breath-taking ignorance of the Shariah, of the Qur’aan and Sunnah. The morons sniff around for evidence for their kufr ideologies in third and fourth class books compiled by greater morons than themselves to support their narratives which evoke mirth for the preposterous stupidity which diffuses their religion of kufr. They cavort blissfully in their theories and schemes of kufr little understanding that they have been created to be fuel for Jahannam. With their haraam twaddle they twiddle with the sacred Deen of Allah Azza Wa Jal, and only men who are atheists and munaafiqeen are capable of such kufr villainy. 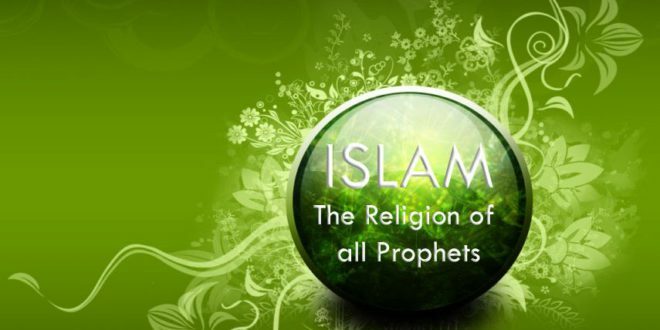 The ideology of ‘reforming Islam’ disgorged by Mr.Sool is the devil’s work for creating disruption, corruption and doubts in the minds of the ignorant masses. However, he has grossly miscalculated even the mood and attitude of the ignorant masses. While other zindeeqs, munaafiqs and murtads will acclaim him for the najaasat he has disgorged, he will miserably fail to gain converts from the masses of Muslims. No Muslim in whose heart Imaan is rooted will ever accord a lending ear to the preposterous kufr of reforming Islam – the Islam which Allah Azza Wa Jal has completed and perfected more than fourteen centuries ago. They believe that the donkey education acquired from universities qualify them to be experts of the Shariah. Dwelling in this deception, they make a monumental mockery of themselves. They fail to understand that their entry into the domain of the Shariah without the requisite qualifications is the effect of a Seal placed on their hearts by Allah Azza Wa Jal. When a man who is bereft of any Shar’i status in Ilm-e-Deen acquits himself as if he is an authority and an expert, then this is clear evidence for the divine Seal on his heart, and that he is destined to be fuel for Jahannam. Mr.Sool, due to the divine seal on his heart does not realize the hideous fate which he has moulded for himself. Islam not only gives institutional support to the Khilaafat, it has ordained that the only form of government valid for Muslims is the Khilaafat system, which is a one-man dictatorship who governs by the Law of Allah Azza Wa Jal. Both Nubuwwat and Monarchy are described as divine bounties. Throughout the history of mankind, the monarchial institution was upheld by all the Ambiya. It is an institution created and ordered by Allah Ta’ala while democracy is a satanic institution. It is the reign of donkeys and baboons. Those who give preference to the shaitaani system of democracy and criticize Khliaafat as Sool does, are murtaddeen without the slightest vestige of doubt. Their ritual acts of mock ibaadat are worthless and invalid. The best system, divinely instituted is the Shar’i dictatorship called Khilaafat. It should be well understood, that even a king who ascends the throne by hereditary succession will be a legitimate Khalifah if he rules according to the Shariah. Thus, monarchy is not nugatory of Khilaafat. Besides the Khulafa-e-Raashideen, all Khilaafats were monarchies. Mr. Sool illustrating his jahaalat, digs up Saddam Husain from his grave with the comment: “Some even supported Saddam, merely because he claims to be a Muslim.” While it is necessary to support a Muslim, it is haraam to support a murtad. But, Sool being a lackey of the western kuffaar supports the U.S.A. and its gangs of oppressors who had invaded Iraq bringing wholesale slaughter, barbarism and misery to the Land of Iraq which Saddam was at the time defending. On the occasion of the invasion of Iraq by the western devils, it was Waajib for Muslims to support Saddam Husain. Sool by this averment has demonstrated where his sympathies lie. Since he is a murtad, he obviously is on the side of the kuffaar west. Making a fool of himself, Mr. Sool says: “There are simply no grounds for that sort of religious opportunism and chauvinism in a liberation struggle.” This silly statement of ignorance is in the context of the Ummah’s support for Saddam Husain when Sool’s masters and bosses, the West, were invading and brutalizing the Ummah in Iraq. He labels the Ummah’s support for Saddam ‘chauvinism’. Perhaps the chap is unaware of the meaning of this term. His talk of ‘religious opportunism’ in the Iraqi context is absolutely stupid and conspicuously displays the hater of Muslims he is. Sool’s abhorrence for Saddam betrays his affinity for the Shiahs. Since Saddam was anti-Shiah, Mr. Sool, the Murtad, reveals vitriol for those who had supported Saddam during the kuffaar invasion of Iraq. Only murtaddeen, Shiahs and supporters of Shiahs cherished hatred for Saddam at the time when the U.S. with its satanic coalition was brutalizing the Iraqi segment of the Ummah. As for the so-called ‘liberation struggles’ Mr. Sool rants about, there is no genuine liberation struggle. One evil regime is simply replaced by another evil regime. It is always a struggle of Satanists. There is not a single incident of a so-called ‘liberation struggle’ resulting in a benevolent, just and honest regime which has the welfare of the masses at heart. It is simply the substitution of one tyranny with another tyranny. This is ambiguous nonsense. He does not know what drivel he has disgorged. Who are the ‘we’ this chap refers to? He needs to define the concept of ‘inequality’ he has blurted out. What are the details of this ‘inequality’? And, who had provided the hallucinated ‘theological legitimation’ for any of the injustices and oppression perpetrated by the ‘stalwarts’ of the liberation struggle. Yesterday they were paupers. Suddenly, in the aftermath of the ‘liberation struggle’, they became billionaires, pillaging and plundering the wealth of the masses, oppressing the poor who became poorer after the ‘liberation struggle’ while the ‘elite poor’ became filthy rich, swimming in filthy opulence. Whilst the leaders of the ‘liberation struggle’ bask in opulence and luxury, living in mansions like kings, the masses on whom they had relied during the ‘liberation struggle’ degenerate incrementally in squalor and grinding poverty. The effluvium of the so-called ‘liberation struggle’ is the nationwide unrest, strikes, riots for nonprovision of services, mass unemployment, soaring crime rate, etc., etc. These are the bitter fruits of every ‘liberation struggle’ in every part of the world. Who has provided ‘theological legitimation’ for these evil ‘liberation struggle’ entities? There is no genuine difference between one regime and another. All of them are the regimes of shaitaan. The most selfish blood-suckers of all so-called ‘liberation struggles’ are the political leaders. Sool must explain in detail his stupid allegation of ‘theological legitimation.’ In reality, his statements are simply ‘full of sound and fury signifying’ bunkum. And, just who is rebelling against whom today in South Africa? Sool has acquitted himself with stupid ambiguity. The poor masses in the squatter camps and informal settlements are rebelling against the leaders of the so-called ‘liberation struggle’. These leaders have amassed billions by riding on the backs of the squatter-camp dwellers who still have no homes while the leaders of the ‘liberation struggle’ reside in opulence in mansions and palaces. It is the same story in every country which underwent the trauma of the socalled ‘liberation struggle’. In most cases, the regimes which were displaced by the so-called ‘liberation struggles’ displayed some benevolence and care for the masses. They had a better understanding of the science of looting the public treasury. They understood the limits, whilst today the plundering of the public treasury is executed with an unheard of insanity among former oppressive and tyrannical regimes. The regime prior to a ‘liberation struggle’ understood the limits of plundering, hence the country generally prospered. But, look at the condition of the country today after the so-called ‘liberation struggle’? Who are the fat cats today? Who are the exploiters and the oppressors today? They are the leaders of the ‘liberation struggle’ of yesterday. Political leaders are the worst opportunistic scum. They are tainted beyond redemption by the evils spawned by their lust for exploiting the suffering masses. These vile opportunists are not only a simulacrum of the previous tyrannical regime, they are egregiously worse in oppression, crime and villainy. They have ruined the land by pillaging and plundering its resources regardless of the suffering of the masses who had installed them as the rulers. Democracy is a massive scam and fraud. With this stupid mirage they have succeeded to bamboozle the illiterate and stupid masses. This is the condition in all lands, with one country being worse than the other. Now the murtad seeks to make the Deen of Islam the scapegoat for the villainy of the political frauds and dacoits. Firstly, this disgorgement is pure rubbish. Secondly, this chap needs to re-educate himself in the English language. The composition of his idea as stated above is atrocious. He has failed to correctly articulate his kufr although the kufr percolates from this stupidity. Mr. Sool should submit to secondary level grammar lessons to enable him to at least acquit himself correctly in the grammatical composition of his silly ideas. In fact his entire narrative is an insipid effluvium of twaddle consisting of flapdoodle averments tantamount to kufr as well as explicit kufr. His ideas of kufr are the effects of divination with the aid of shayaateen. Such satanic deception causes induration of kufr in the heart which blinds the murtad to the reality of his villainy which will gain for him only everlasting perdition in Jahannam. Allah Ta’ala describes such satanic excogitations as zukhruful qawl (satanically adorned statements). Generally, brothel-university products excel in satanism, hence kufr is their capital. The longer the donkey tail of degrees acquired from these donkey universities, the more indurate will be the kufr of these chaps. Sool, the murtad is in flagrant denial of the class system which Allah Ta’ala has created and which the Qur’aan Majeed confirms in the above Aayat. No one has imposed any manmade ‘class ideology on the poor in the name of Allah’. On the contrary, Allah Ta’ala has created the poor and has honoured them with lofty ranks which only the Ambiya, Siddiqeen and Shuhada will enjoy in Qiyaamah. Rasulullah (Sallallahu alayhi wasallam) said: “Poverty is my pride.” Nabi-e-Kareem (Sallallahu alayhi wasallam) had, furthermore, supplicated to Allah Ta’ala to keep him alive in the class of the poor; to cause his demise in the class of the poor, and to resurrect him on the Day of Qiyaamah in the Assembly of the Poor. Thus, the ‘ideology of the poor’ is a divine ideology, the sublimity of which atheists, communists and murtads has not even crossed their minds nor are they able to hallucinate the lofty status of the poor in Islam is. And, Muslims are proud of this ‘opiate’. Sool, the murtad, dwelling in shaitaani deception appears to be a murtad bedeviled with compound kufr – the kufr of denying the Qur’aan, Hindu shirk, and the kufr of atheism acquired from communism. The latter is evidenced by his reverence for the communist shaitaan, Marx. Thus, Sool says: “That kind of religion is no more than the opiate of which Marx spoke.” At this juncture the miserable murtad has let the cat out of the bag to reveal who exactly he is. He is a communist atheist masquerading as a Muslim. Since all murtads are cowards, he lacks the courage to proclaim his true identity. Muslims declare with pride that this Deen of Islam as was handed to the Ummah by Rasulullah (Sallallahu alayhi wasallam) is undoubtedly their beloved ‘Opiate’. We supplicate to Allah Ta’ala to keep us all addicted to this ‘Opiate’ on which hinges our everlasting success and salvation in the Hereafter. Those who have no addiction to this sacred ‘Opiate’ are doomed to the misery of the everlasting Fire of Jahannam which is the hideous abode for murtad creatures. Just reflect! This chap proclaims himself to be a Muslim, yet he seeks to abrogate the Qur’aan and abolish Islam with the doctrine of atheism he has lapped up from the vomit of Marx who is a greater shaitaan than even Iblees. Allah Ta’ala has created people rich and poor. The rich will be punished for their injustices and exploitation, and the poor will be highly rewarded for their Sabr and contentment. But the poor who are the followers of the devil will be in Hell-Fire with the rich who were exploiters. In the divine ‘ideology of the poor’ imposed on Muslims by Allah Ta’ala, the poor are expected to be contented with their lot. The view of the devil Marx to whose atheistic ideology Mr. Sool is subservient, is the very antithesis of the ideology of contentment which Allah Ta’ala has ordained for all Muslims, especially for the Fuqara. About the extremely lofty rank, significance and importance of the Fuqara, the following explanation in the Hadith is most salutary and debunks the rubbish of Marxist Satanism espoused by the murtad Sool. “Inform them that those among you who are patient and have the niyyat of attaining thawaab, for them are three such ranks which are not for the wealthy. The first rank: In Jannat will be some mansions of red Yaqoot (a precious stone of Jannat) which will be situated at extremely lofty heights. The people of Jannat will look at these mansions in the same way as the people of the earth look at the stars. Besides a Nabi; a Shaheed and a Mu`min Faqeer, no one will enter. The second rank: The fuqaraa will enter Jannat 500 years before the wealthy. It is with pride that Muslims say that we love the ‘Opiate’ bestowed to us by Allah Ta’ala in the form of this Deen of Islam. Sool can be enamoured with the kufr, devilish theories of the shaitaan Marx, but Muslims are proudly intoxicated with the divine ‘Opiate’ which Allah Ta’ala has awarded us. Our everlasting salvation in the Aakhirah is reliant on this ‘Opiate” of Islam while Sool’s everlasting perdition in Jahannam is being paved by his emulous imitation of Hindu and communist kuffaar such as Marx. He thus finds himself in a cesspool of kufr which has extinguished his Imaan, hence he calls for the abolition of Islam. This is the sweet ‘Opiate’ which impels Muslims to serve the poor class for Allah’s Sake. We are proud of being addicted to this ‘Opiate’ which the murtad and his master, Marx scorn and despise. While the Deen as Muslims believe in affects Sool and his master, Marx with severe mortification, it is for us, the Ummah, the sweetest ‘Opiate’, for it provides the necessary divine intoxication which is imperative for what the Auliya of Allah term Ma’rifat. But this concept can never be comprehended by those whose hearts and brains are necrotized by kufr. Allah Azza Wa Jal has created us to be ‘lost’ and become annihilated in His Remembrance, and this is not possible without addiction to the Divine ‘Opiate’. Those who are not addicted to this wonderful ‘Opiate’ grovel in humiliation, pillaging and plundering humanity for the jeefah (carrion) of this dunya. This is the fruit – the jeefah – for which the vultures of materialism live. Regarding the poor class, the fat cats of the ‘liberation struggle’, once established in government, resort to the oppression and injustices of the earlier tyrannical regime, but only in a different form – old wine in a new bottle. These vile political leaders are the worst oppressors and scum. Their insatiable greed for worldly wealth and luxuries intoxicates them, making them blind to the hardships of the masses. Their exploitation exceeds the exploitation of the regime which their so-called ‘liberation struggle’ had displaced. The classes of humanity created by Allah Ta’ala cannot be wished or worked away. The worst offenders of the theory of a classless society are the very propounders of this bunkum ideology. Even Mr. Sool who is proud of the devil’s ideology, does not live the life of the poor who dwell in informal settlements and squatter camps. His opulence exhibits his hypocrisy. The idea of a classless society is a hallucinated mirage of men whose brains have been gangerenized by kufr, hence they suffer from the malady of malfunctioning intelligence. That is why they are capable of propounding downright stupid theories and ideologies which they spin with the aid of shaitaani divination. The religion which “is no more than the opiate of which Marx spoke”, is in fact the beloved Deen of Islam which Allah Ta’ala has bestowed to us, and of which we are the proud adherents and devotees while Satanism is the opiate of Marx and the Murtad. The murtad who professes to be a Muslim should critically search his heart and attempt to fathom his own nifaaq, kufr and shirk which he clearly displays in the effluvium which emerges from his statements. His ignorance of the Qur’aan’s Message constrained him to blurt out the rubbish of ‘rediscovery’ of some stupid ‘ethical incentive’. What is this ‘ethical incentive’ which shaitaan has urinated into his heart and brains? He should expound what exactly this stupidity is which requires ‘rediscovery’. He should explain the concept in detail and state when did this claptrap disappeared from the Ummah. Was it in existence during the era of the Sahaabah? Just where in the Qur’aan is this ‘ethical incentive’ stated. Blurting out bunkum and portraying it verbosely with fanciful to hoodwink ignoramuses, cannot mislead those who know and understand what Islam is. This Deen was completed and perfected more than 14 centuries ago. It does not tolerate the slightest deviation from the Straight Path which Allah Ta’ala has ordained for it. The Qur’aan has been radiantly portraying the Law of Allah Azza Wa Jal since its very inception more than 14 centuries ago. Only those who have lost their Imaan need to rediscover themselves. But such rediscovery of self-deviance and realization of the imposition of Satanism on the brains are possible only if Allah Ta’ala provides the necessary hidaayat. He says repeatedly in the Qur’aan Majeed: “Allah guides whomever He wills, and He misleads whomever He wills.” Allah Ta’ala has created fuel for Hell-Fire in human and jinn forms. The Murtadddeen are primary fuel for Jahannam. The Qur’aan Majeed’s meanings and concepts are eternal, and cannever be changed to become subservient to the changing circumstances of the world nor to the vagaries of the wildly fluctuating nafs operating under directives of Iblees. The abstract nonsense disgorged by Sool clearly demonstrates the narrow confines of the satanic straightjacket with which his brains have been fitted. Just imagine, a total non-entity wallowing in compound shirk and kufr – Hindu kufr and Marxism kufr – offering the Ummah the kufr, Ibleesi advice of some stupid ‘rediscovery’ process to which the Qur’aan Majeed has to be subjected. Whilst his own soul is marred and ruined with kufr and shirk, he ventures the abomination of claiming that “Islam needs to look critically at its own soul.” Mr. Sool! Look at your own soul necrotized by kufr before that moment when it will be stuck in your throat when Malakul Maut calls on you, and that will be sooner than later. Maut is not a far off event. Rasulullah (Sallallahu alayhi wasallam) said that Maut and the Qabr call on a person five times daily. Only those in whose hearts is embedded kufr dispute about the concepts, beliefs and practices of Islam which have been transmitted down the centuries from the Sahaabah most reliably. The kufr is of an aggravated nature when men who are bereft of Ilm-e-Deen, such as Sool, seek to acquit themselves as authorities and experts of the Shariah. Sool, the Murtad, with ambiguities devoid of even valid mundane meaning, attempts to bamboozle the ignorant and the unwary. His averments pertaining to institutional support to caliphates, support for Saddam, religious opportunism / chauvinism, liberation struggle, theological legitimation for the inequality between the rich and poor, the need for Islam to rediscover itself, class ideology imposed on the poor in the name of Allah, subservience to the atheist Marx , and his stupid ethical incentive to be searched for in the Qur’aan, are all shaitaani figments of his hallucination designed to flaunt expertise for the acquisition of self-aggrandizement. All these ideas are pure bunkum – a cacophony of stupidities which in addition to being meaningless, are kufr. The MJC is mute regarding the manifest kufr propounded by their bed-fellow, Sool. Their dalliance with him constrains condonation of his explicit kufr. The MJC was at great pains in its struggle and abortive attempt to exonerate Sool from the shirk of the Hindu wedding. Since they themselves were complicit in the shirk of Hindu rituals, they deemed it imperative to present downright stupid and baseless baatil ta’weelaat to save Sool and themselves from the Shariah’s Fatwa of kufr. But now, they have no valid reason for silence. Sool has flagrantly called for the abolition of Islam. The MJC, if it genuinely believes in Islam, then despite its kufr of supporting Sool’s Hindu wedding charade, should comment on this latest kufr ideology propounded by this Murtad. The MJC sheikhs need to search their souls to discover what exactly they are. Are they Muslims? The Hadith: “The one who is silent about the Haqq (when it is being trampled and demolished) is a dumb devil”, is too mild a stricture for the manifest villainy of the MJC. They are not only silently condoning the brazen kufr propagated by their bosom friend, Sool, they are guilty of misguiding the ignorant masses whom they imagine they are leading and representing in the Western Cape. We hope that they can understand the danger to the Imaan of ignorant Muslims of the university kind, posed by characters such as Sool, and not attempt to kick up enough dust and smoke to protect their murtad cohorts. We say ‘Muslims of university kind’ because stupid kufr ideologies have absolutely no appeal for Muslims whose brains and Imaan have not been corrupted and corroded by the atheistic education which the brothel universities impart. Sool, the Murtad hallucinates that “Islam needs to rediscover the basis of its identity”. What is this satanic ambiguity. This character needs to define and elaborate what precisely he means by this shaitaani concept. In reality his kufr concept envisages an ‘islam’, the basis of which is crass materialism – the kind which the Devil, Marx had propounded. The Murtad desires that the primary and fundamental basis of Islam, namely its spiritual dimension in which Thikrullah and the Objectives of the Aakhirah predominate, be expunged. This is the objective of the atheists. Their ideology of life has no room for the spiritual domain which is the primary region wherein the Qur’aan commands us to dwell, to live and die. The opiate of the murtaddeen and atheists who are the mental slaves of Devils such as Marx, is crass materialism, lust for carnality and worldly objectives while the ‘Opiate’ of the Believers is Allah’s Love which is attainable only by means of addiction to the ‘Opiate’ of Islam. The Muttaqoon are those who are addicted to the ‘Opiate’ of Allah’s Love. Whatever they do, is the effect of intoxication –intoxicated with this Divine ‘Opiate’. The atheists for themselves, substitute this Divine ‘Opiate’ with the opiate of materialism and godlessness. They are the slaves of passion, emotion and satanism. They labour in self-deception with the baseless idea of them being free from intoxication. They are drunk with the opiate of materialism and atheism. The ‘few dissenters’ will always remain until the Day of Qiyaamah to keep aloft the Standard of Islam, to weed out the satanism which the deviates, murtaddeen and atheists introduce deceptively in the guise of the Deen. The deviates will not succeed. The ‘few dissenters’ will not allow these deviates to spin, fabricate and fraud ideologies to suit their satanic narratives, whims and fancies. In his arrogant parade of compound kufr, Sool has miscalculated. He believed that he will not be held accountable, and that he would be able to slip his kufr ideology into the community with the aid of the MJC dumb shayaateen. They offer silent condonation for the baatil and even kufr of the political entities with whom they have struck up dalliances for their own pernicious objectives. As long as there is material gain, the MJC mudhilleen will support and justify whatever twaddle cranks peddle. Their interpretative mutilation of the Shariah leaves Muslims aghast. They parade as sheikhs and maulanas, but they propagate shaitaaniyat. It is indeed a sad indictment that the ulama today have become dajjaals. Anyhow, Rasulullah’s predictions have to materialize. There is no other ‘incentive’ to ‘discover’ in the Qur’aan Majeed. This Maqsood of the Aakhirah is the theme threaded throughout the Qur’aan Majeed. The dunya is despised. Its materialism is despised. Those who pursue materialism on the basis of the ideologies of Satanist materialism are most contemptible, most stupid and more astray than the beasts. Rasulullah (Sallallahu alayhi wasallam) said that “this dunya is jeefah” (carrion), and that it is more worthless than a dead decomposing kid-goat. Sool, the Murtad in his satanically subtle and stupid manner calls on Muslims to reject the Divine ‘Opiate’ of Islam, and to adopt the rotten, carrion opiate of the Devil. That is, the ‘Opiate’ of Islam has made you a mad man. Muslims are proud to be such men who are intoxicated with this ‘Opiate’ which leads to an Insanity beloved to Allah Azza Wa Jal. There is an Arabic expression along the lines of, “aslamat Sāra, lā zād al-Muslimūn wa lā qalat al-nasārā”, which literally means: “Sara has converted (to Islām), neither increasing Muslims nor reducing Christians”. The expression is sometimes said when a person leaves Islām, as an idiomatic “who cares?”. In any case, it is not an entirely sensible expression. Entering or leaving Islām is not a matter to be taken lightly. However in recent times, where boasting about leaving Islām is construed by pseudo-Islamic mannequins (called ‘think-tank’) as ‘very brave’, even in a society beleaguered by Islamophobia and piled on anti-Islamic rhetoric, maybe there is some space for an aslamat Sāra attitude. So, if that bob of Īmān shakes at the news of pop stars no longer ‘convinced’ by an afterlife, below are seven points to help it settle. The message stood firm against the odds. Ibrāhīm ‘alayhi al-Salām did not see his singleness as an existential threat to the message of Islam as he knew his Lord was preserving it. Islam survived through the 11th century Crusades, the 13th century Mongolian campaigns and the 15th century Spanish inquisition. Numerous political doctrines, religions and strains died out with the demise of their adherents, save unadulterated, Abrahamic monotheism that remarkably survives. In fact, there will be a time when there will be no Muslim on the face of the earth at all. This will come, as far as the age of the earth goes, moments before its end (the Day of Judgement). But the non-existence of Muslims who believe in the afterlife prior to the Day of Judgement will not stop it from happening. Even without adherents, the universal system of Islām endures. Here is Abu Bakr al-Siddīq (radiy Allāhu ‘anhu) with Iman weighing more than the Ummah’s masses combined, Abū ‘Ubaydah b. al-Jarrāh (radiy Allāhu ‘anhu), whom ‘Umar later wished that everyone would resemble, and al-Qa’qa’ b. ‘Āmr, whose voice and military contribution were more effective than 1000 men. In fact, ‘many’ has almost never been mentioned in the Qur’ān except with a form of dispraise. “Many of the People of the Book would love it if they could make you revert to being disbelievers after you have become believers.” “Many of mankind are deviators.” “Surely many people are heedless of Our Signs.” The list goes on. Seeing someone ‘take their Shahādah’ is extraordinary. We push and shove to set our eyes on the spectacle. But in many cases, we may never see the brother or sister again. And though seeing someone embrace Islām often increases or reinforces our own Īmān, our happiness is primarily unselfish. It is for them. It is their past slate that is wiped clean, their life that has taken a momentous turn for the better and their hereafter that has been salvaged. It is their ability to see past the centuries of sustained myths and propaganda required to keep them away from the otherwise irresistible Islām in the first place, that we admire about them. Exams separate the best students from the worst. Difficulties bring out the real nature of people, those who can weather the storm and those who crack under the strain. The idea that leaving Islām is a ‘very brave’ thing to do is simply farcical. British Muslims face more than a thousand hate crimes a year, are lambasted by some 500 posts a day and are three times less likely to be considered for a job. Most challenges and difficulties in the world today are faced by Muslims. Muslim vilification has become the international media’s staple diet and the fad of new-age populists. ‘Very brave’ is to be a self-assured Muslim, not someone who acquiesces and attempts to join the ranks of the “dominant” race or class. It is this heat which particularly knocks off those Muslims sitting on the fence, very ready to blame their ineptitude on their dwindling religiosity, neither addressing the real causes of their failures nor ending up winning anything in the hereafter. Leavers of Islām should know full well that they leave behind nothing but a purer base, a surer assembly, and a firmer, better bonded core, ready to weather whatever dreary day or turn of fortune awaits ahead. Altruism, charity, nurturing children properly, checking on your neighbour, resisting temptations, speaking out against wrong—the list goes on—is what a Muslim is first, and is hard work second. Islām is neither a fashion, mere identity, nor a material possession that assents to any of our ways and desires. It was sent to guide to what we know, and to what the distortions of an era have made us forget. Some leave Islām after feeling they bit off more than they can chew. But what is better, to find a truth you voluntarily chose to follow difficult, or to capitulate to the very lusts that you left behind? Every Muslim finds one thing or another difficult, but why do some assume that Allāh’s greatest commodity, Paradise, is cheap and easy to attain? We boast about ‘keeping our noses in the grindstone’, ‘blood, sweat and tears’ and ‘burning the candle at both ends’ to save for a package holiday that could turn out boring and stressful. Why then do we think we can pioneer Islām, around our own tastes and fashions when it is our deliverer to eternal bliss and ultimate enjoyment? History and the contemporary have shown that there are no ideologies that can rationally compete with Islām. Islamophobes will happily jibe, mock and defame, but come a civilised debate and what a pity. As such, the majority of leavers, observably leave due to some sort of bad experience either unrelated to the ideological framework of Islām, or fail to rationalise an Islamic teaching with a different ideology, a cultural norm, practice or premeditated craving of their own, many a time carnal. Those will validate what they long craved by ‘reforming’ Islām to follow suit or raise doubts about the religion itself. Let us get real, was it 15-billion-year-old observable evidence that made that leaver question the Qur’ān’s account of creation, or a new boyfriend? The Shaytān knew it was Allāh’s order he disobeyed but wanted to validate a premeditated superiority complex, paying attention to what he thought validated that complex, “I am better than him, You (Allāh) made me from fire, and made him from clay.” But he (conveniently) paid no attention to the fact the order to prostrate came from Allāh himself. His intellectual gaffs were because he had no ideological leg to stand on. The reason he left was because his continued arrogance blighted his ability to be true to his fault of refusing to prostrate in the first place. It is useful to remember this hierarchy of disagreement when considering the bulk of the attacks levelled against Islām’s foundations. Imagine if I were to give you a pen. The following week I call asking for your help towing my car, “because I gave you a pen”, then I text you needing help with my shopping “because I gave you a pen”. Soon, I will find my pen in an envelope with a note reading “with thanks.” Imagine then if the receiver—you—was instead the person demanding favours and gratitude. It is madness. Imagine then if the gift was far better than a pen—Islām itself. Likewise, leavers should know that nobody felt that your Islām was disruptive, ground-breaking or a monumental rift in a Da’wah that is divinely preserved and administered by men and women who struggle against desires and weaknesses, for your departure to be disruptive. A person’s Islām does not benefit Allāh for their departure to harm Him. Likewise nothing that Allāh obligated upon us benefits Allāh in the slightest. He was the Almighty, the Wise, the All-Powerful before everything in existence and our obedience did not increase Him in any of this. Any individual obligation is likewise an obligation on the rest of society. Just as Allāh commanded you not to steal and to lower your gaze, He likewise commanded millions of others. So who ends up benefiting? You yourself. You, being the beneficiary—whether you realise it or not—of what is Halāl and what is Harām is enough a payment. So Allāh, through His rulings gave you and then rewarded you on top of what He gave. Islām is an inimitable privilege and blessing, and supreme way of life and salvation that attracts for every leaver, thousands of entrants. What is ‘supreme’, stays so, even if a person is as deprived and naïve as to throw it away for whatever petty return. Likewise, what is already supreme cannot be made better by its followers. It is entirely a privilege to them that they should fear losing, the same way as they would fear to be thrown into fire. How is it that the understanding of Islam has changed so completely in the mind of the average person from an all-embracing life system to merely a few acts of worship – often done half-heartedly in an automatic way or not even done at all? Today we find Muslims, most in fact, who consider that being a Muslim involves praying and fasting, but that otherwise they are free to live their lives according to any social, political or economical system they please. We also find those that claim to love Allah but profess that good feelings and intentions are sufficient as proof of Islam. How was such an idea ever adopted – the notion that one’s loyalty to Islam is unrelated to his behavior? How did a Muslim come to imagine that he could oppose the teachings of his Lord and betray His trust; that he could lie, cheat and deceive; that he could refuse what is lawful, preferring what is unlawful; that he could accept humility and humiliation in order to preserve his status in a society based on immorality and oppression… and still claim allegiance to Islam? How could a Muslimah come to imagine that she could oppose the teachings of her Lord and betray His trust; that she could lie, cheat, deceive, covet and backbite; that she could go out, exposing herself to every eye; that she could willingly raise her children as contended members of an un-Islamic society… yet still imagine that the “good intention” in her heart would cancel all of that before Allah (Subhanahu wa Ta`ala)? From the very outset of Prophet Muhammad’s (sallallahu alayhi wasallam) call to the worship of Allah alone and in the days when Islam was a vital movement attracting most of those who came in contact with it (which was a long period in history), the average Muslim was quite a different example than what we have today. When he said, “La ilaha ill Allah” and“Muhammadun Rasoolullaah,” he did not consider those words as something to be pronounced and repeated without leaving any effect upon his thinking and behavior. He understood them to mean that Allah, the Creator, is the rightful governor of this universe. He understood that from the time Adam was set upon the earth, Allah had sent an eternal message to mankind, stating that whoever follows His guidance will be guided for his own benefit, but those who turn away in rejection will harm their own souls; and every soul will bear the consequences of its choice. He understood that Allah, God of the universe, is alone worthy to be worshipped and obeyed and that He alone has the right to direct one’s life. He understood that Muhammad is the messenger of Allah, chosen by Him to relay the guidance that was meant to reach mankind, and that he was a living example of this guidance – a teacher to be followed and obeyed. No one ever imagined that sincerity was enough. How could it be when the Prophet (sallallahu `alayhi wasallam) had made clear that faith is neither by desire nor by adornment, but it is what has settled in the heart and is proven by deeds. One might imagine while seated comfortably in his chair that he could move the universe. But when he reaches out to move a nearby table, he finds that the effort needed to do so may require that he arise from his seat; and if the table is large, it may require even greater exertion on his part. Thus, the belief that sincerity alone suffices is deception. No doubt, there can be no deliberate or fruitful action without prior intention. But what good is sincerity or intention in practical terms? Unless it is translated into effective behavior, what is gained? There will be no reform, no progress, no accomplishment – no change at all. And so Allah (subhanahu wa Ta`ala) repeats over and over in the Qur’ân that His reward will be for those who believe and do righteousness. He never said that faith alone or intention is sufficient. Faith must become a motive to positive action – to doing as one is directed. That means putting the word of Allah above all else – above customs and traditions, above the opinions of man, above one’s own desires, laziness or reluctance. All of this was apparent and self-evident to early Muslims. It was not their idealism alone which changed the course of history – it was action. They knew the laws of Allah had been sent down to be followed, and that was the true meaning of worship. Among the contemporaries of the Prophet (sallallahu `alayhi wasallam) were those who erred and those who were wrong some time, They were never free of human feelings or human weaknesses. They knew fear and anger and worldly temptation. The material of their creation was no different from our own. But the ever-present consciousness of Allah and the firm relationship with Him prevented them from decline, protected them from despair and continually renewed their hope. The first Muslims became unique examples of human excellence while never losing their human nature. Their society was one in which human potential was utilized to the utmost as simply a reflection of their understanding of Islam. Question: Religions evolve as time passes. Most religions have, but why is Islam still struggling to modernize in today’s secular and largely diverse world?.. Answer: The assumption is that since other religions have changed over time, Islam should change over time. We refute this understanding because Islam is not just a religion but a complete guide to living a God-conscious life. It is a complete guide for living a life that is in harmony with the Creator and in tune with all of His creation. If we believe that there is such a thing as absolute truth and absolute values, then we must also believe that Allah (GOD) would champion such values. Otherwise we would have the embarrassing result that the ONE who created the eternal laws of physics, chemistry, and biology could not create any eternal laws of ethics, justice, and morality. be eternal and universal. They should be valid for all times and all peoples. A Question about Islam & "Modern World"why is Islam still struggling to modernize in today's secular and largely diverse world?